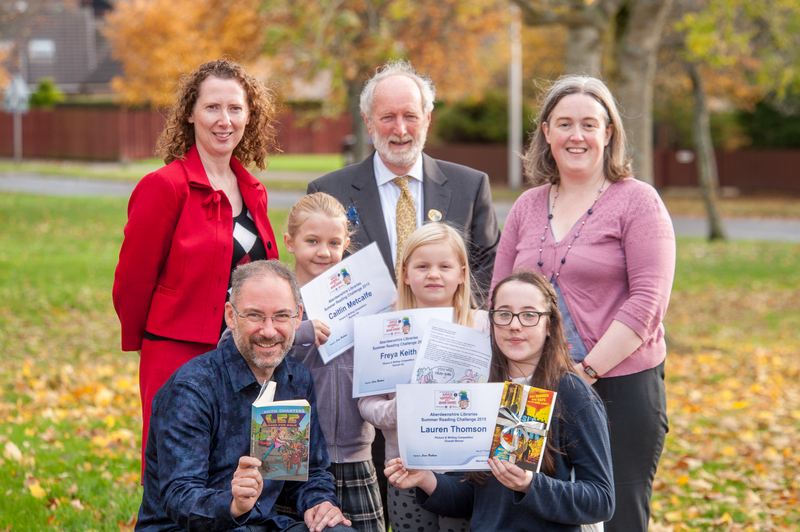 A fantastic morning was spent by all at the prize giving for Aberdeenshire Libraries’ Summer Reading Challenge 2015. Local winners from across the shire, ranging in age from three to thirteen, were invited to attend the morning. Keith Charters, writer and publisher, whose books include the LEE comic adventure novels, and the chart-topping “Lee and the Consul Mutants”, spoke about his inspirations for writing. He shared his stories of what had inspired him to read, including a burst appendix when he was a child. 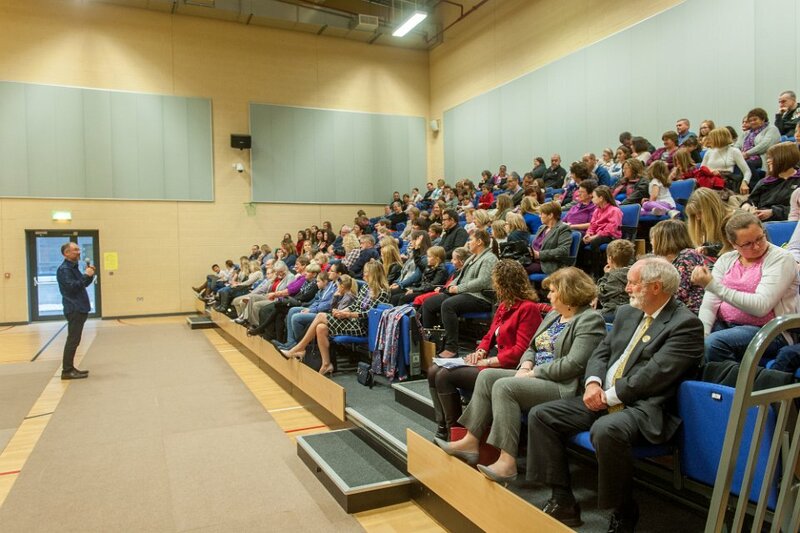 The event was hosted this year at the newly re-furbished Kemnay Academy on Saturday 31st October. 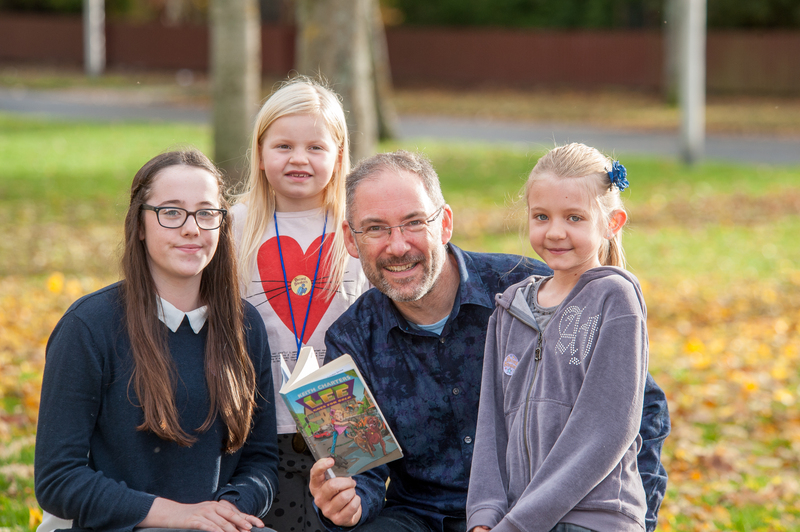 2015 saw the 15th year of this ever-successful challenge, where children read and learn from books and enter competitions to engage with their imagination and creativity. The challenge is always a fun activity for all children of all ages and aims to promote reading, encourage progression and involve children in a cultural activity. The challenge this year was again a great success, with 7235 taking part in the reading challenge an increase of 18% on 2014. Over 400,000 books have now been read as part of the challenge since it was launched in 2000. 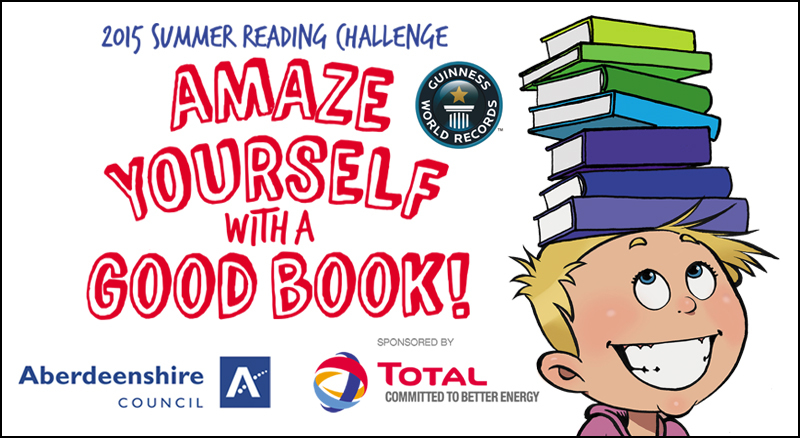 This year’s reading challenge was called “Amaze yourself with a Good Book!” The theme was chosen to link with Record Breakers, the national theme also being promoted by the Reading Agency. 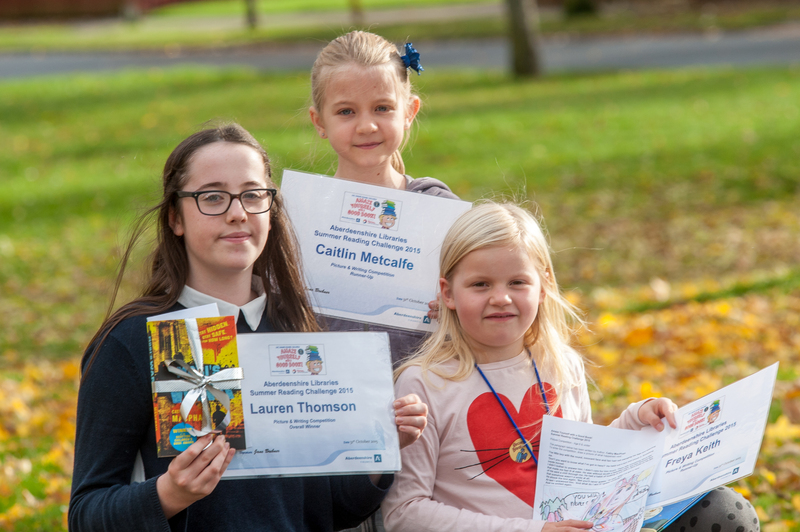 Children of all ages across Aberdeenshire were asked to read six books or more over the school holidays and to submit pictures and stories based on the first few lines of a story, provided by author Cathy MacPhail. The entries were very imaginative, so it was not an easy task for Cathy to choose the overall winner. The awards ceremony itself caused a hush of anticipation as the kids waited to hear who the overall winners would be. There were two runner’s up in the Competition. Freya Keith (Ellon Library) had drawn a magical picture and Caitlin Metcalfe (Newmachar Library) whose story was about a beast who eats up the world and then drowns in his own tears. They were both awarded book prizes. Lauren Thomson (Ellon Branch) was named as the winner with her ghost story, creepy and then sad, and then rather uplifting. She won a trip to the Falkirk Wheel and Tour of the Kelpies, plus a signed book from Cathy MacPhail. Cathy thanked them all for sending their fabulous stories, and she was so glad they got so many different stories from the same starter. This entry was posted in Young People and tagged Summer Reading Challenge. Bookmark the permalink.